The School of Nursing will celebrate Sibley's renowned career during a reception August 17, 2017. For event information and registration, click here. Lynn Sibley, PhD, RN, will retire in August after a more than 20-year distinguished career at Emory University. A certified Nurse Midwife, Sibley dedicated her career to advancing midwifery education and improving care delivery and health outcomes for mothers and newborns around the world. Sibley is a tenured professor at the Nell Hodgson Woodruff School of Nursing and holds a secondary appointment at Rollins School of Public Health. She is also an affiliate associate professor in the Department of Anthropology at Emory University. She also serves as director of the Center for Research and Maternal and Newborn Survival at Nell Hodgson Woodruff School of Nursing. "Dr. Sibley has had a profound impact on nursing education and practice," says Linda McCauley, PhD, RN, dean of the Nell Hodgson Woodruff School of Nursing. "Her research and field work has improved the health of women and newborns in resource poor nations, and has engaged countless students and faculty in addressing health disparities and inequalities, and strengthening nursing and health care delivery systems at home and abroad." 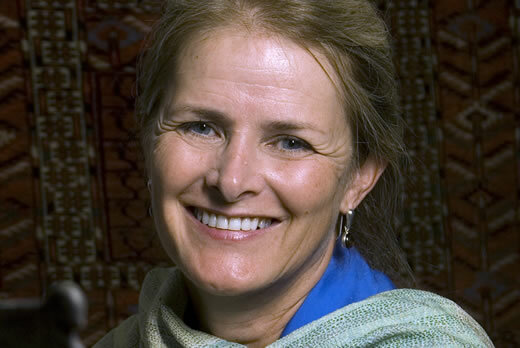 Combing her unique background in anthropology, global health and midwifery, Sibley developed and tested community-based strategies to reduce maternal and newborn morbidity in developing countries, where more than four million children die within the first four weeks of life and a half-million women die from childbirth complications. She is internationally recognized for the Home-Based Lifesaving Skills (HBLSS) program that she developed in partnership with the American College of Nurse-Midwives to educate home birth attendants about basic lifesaving techniques they can use without expensive tools or technology. The Bill and Melinda Gates Foundation recognized this program as an innovative model for birth attendant education and invited Dr. Sibley to expand the HBLSS program in Ethiopia with an $8.1 million grant. This is the single largest grant Emory's School of Nursing has ever received and it was among only six other projects in Georgia to receive funding from the Gates Foundation that year. The HBLSS program has since been implemented in more than 30 countries around the world. Sibley serves as an advisor for multiple global organizations. She is an advisor for the World Health Organization, the International Confederation of Midwives, the Bill and Melinda Gates Foundation, and the Nursing Institutes of Health. She has worked continuously to ensure that Emory's School of Nursing is an active participant in addressing global health challenges. Sibley has earned many notable recognitions for her scholarship and professional accomplishments. She is a Fellow of the American College of Nurse- Midwives and the American Academy of Nursing. She is also a member of the World Health Organization's Maternal and Perinatal Health Study and Reproductive Epidemiology Advisory Group, and the International Confederation of Midwives' Midwifery Services Technical Advisory Group. Sibley has served as senior technical advisor for the American College of Nurse Midwives, Department of Global Outreach and was nominated for the Sigma Theta Tau International Nurse Researcher Hall of Fame Award. She has published extensively in several internationally respected peer-reviewed journals including the Journal of Health, Population and Nutrition, the International Journal of Gynecology and Obstetrics and the International Nursing Review. Sibley has presented her research to more than 25 national and international audiences, such as the Global Health Council, UNICEF, the World Bank, the American Anthropological Association, and the American Public Health Association. The School of Nursing will celebrate Dr. Lynn Sibley's renowned career during a reception August 17, 2017. For event information and registration, click here. Gifts may be made to the Elizabeth Sanger Sharp Fund in honor of Dr. Sibley's longtime commitment to nursing and to Emory University. Contributions support midwifery education. To make a donation, click here.